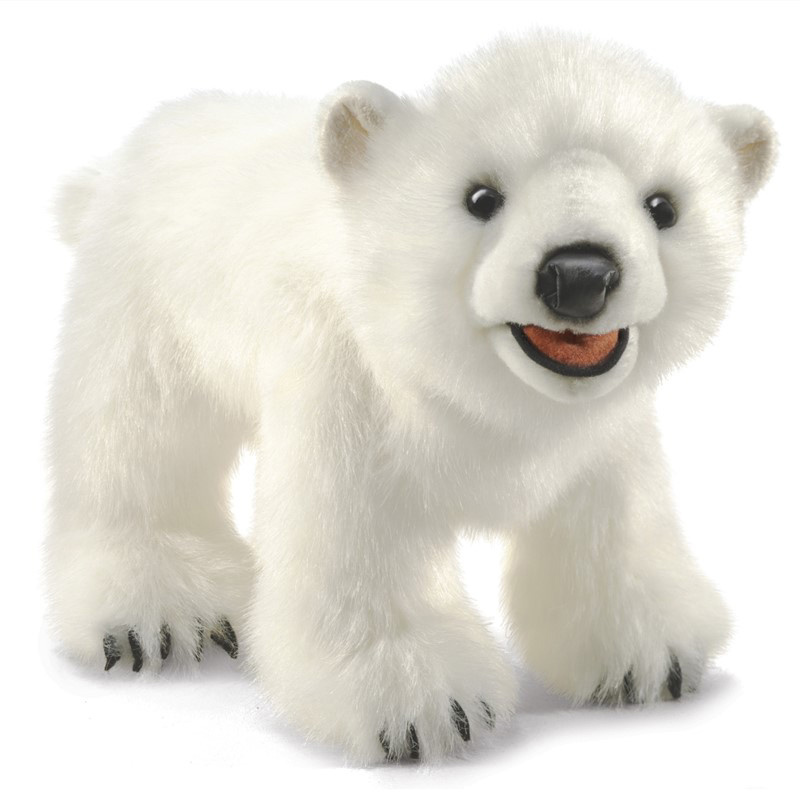 Out of hibernation and fresh from the den comes the newest POLAR BEAR CUB by renowned Folkmanis® Puppetmakers. Heirloom design with soft plush fur, padded paws and a workable mouth, this cuddly glacial gladiator will easily find a warm place in your heart. Puppet measures 14" inches long, 8" wide, 7" Tall.